Hello, thanks very much for the website and all the information you provide. I hope you don't mind me asking but I am wondering about the distribution of moose meat internationally.. I currently have family that reside in India and was wondering if it is possible to ship moose meat there. 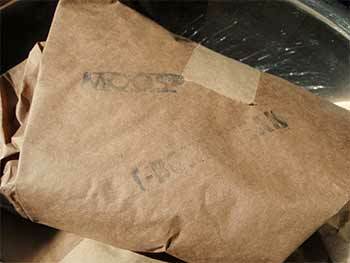 Is it possible to freeze/vacuum pack moose meat and ship it overseas... if so are there regulations against the shipping of moose meat or shipping services that allow that. Please any information is welcome. Thanks for your question. As far as I know the only commercially available moose meat comes from Sweden. You would have to contact someone there to find out. In north America moose meat is not available to sell. Even if you had a source of moose meat here (maybe a hunter friend?) I'm not sure about shipping the meat out side of north America. FYI: Ikea in Sweden recently did a recall of moose meat meatballs because it contained pork meat. I think it must have been advertised as 100% moose meat. Although I don't have any of the details of that recall, there were thousands of packages recalled. How big of a freezer is needed to store one moose? My son and I hope to go on our first moose hunt in Newfoundland, September this fall. I'm curious as to how much room we would need to haul 2 moose (butchered and packed)? I have a 1/2 ton pickup, which I know is big enough, but I don't know how much cooler room is needed. Also, how big of a freezer is needed to store one moose? Thanks for your question and good luck on your hunt! Space required will depend on two key points. How big is the animal and if it has been boned out or not. Last year I brought half a boned out moose home from the Yukon in a 7 cubic foot freezer and it was full. Bone in requires quite a bit more storage space. It stands to reason that a 400 pound moose (carcass) will require a lot less space than a 700 pound moose. For home use we have a 17 cu foot upright freezer and it always seems to have enough room for our moose and salmon. How to ship moose meat another city ? What would be an easy way to send frozen moose meat to another city? Linda, thanks for the question. I hope the following is of some help to you. The only way I have ever heard of is to ship via air transport or by refrigerated truck transport. I had some frozen moose shipped from the Yukon to Southern British Columbia a couple years ago. It wasn't overly expensive to ship either! This type of transport happens all the time for hunting and fishing lodges. Some airlines will have the capability to ship cold or frozen items. I believe you would have to take your frozen meat to the airport just-in-time for loading onto a plane. Then on the receiving end the person who is picking up needs to be there to receive the frozen moose meat. I did this a number of years ago. I shipped frozen beef to my sister at the other end of the province. Although I don't remember the exact logistics. I Googled Leamington Refrigerated Transport Service and a number of businesses came up. Try it yourself and call some, you may be surprised. Shipping frozen meat by mail or bus... probably not! I'd loved to hear how you make out. How do you go about shipping moose to the US from Canada. Customs says you have to prove that it is moose, how is this done? 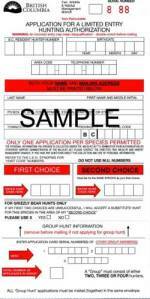 As far as I know shipping moose meat across the border is no problem as long as you can identify where you got it usually by showing a valid hunting license and tag for the harvested meat. If you are transporting an animal that someone else shot, you will need a letter stating all the information from the hunter as well as a statement of permission. You also need an Export Permit from Canada. Depending on the province the way you get the permit can vary as well as the fees are different. It is best to check into this in advance. A few years ago my friend was transporting moose meat from BC to Alberta and was told the permit takes up to 30 days to get! "Hunter harvested game birds (pheasant, quail, goose, etc.) 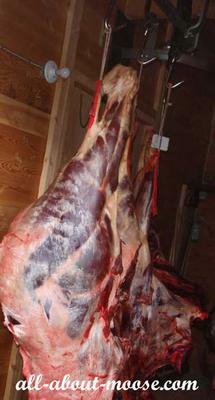 or cervid carcasses (e.g. deer, moose, elk, caribou, etc.) from Canada may be allowed entry when the importer is the hunter and presents to the Customs and Border Protection officer evidence such as a hunting license that the product is hunter harvested wild game." If the meat has been processed then the butcher should clearly mark packages as to the content. Is there any reason not to hang moose meat, in a proper cooler,for 14-21 days...before processing?? I have heard different opinions... what's yours.. Thanks for the question Rod. No, there is absolutely no reason not to hang moose meat to age it. Like you, I have heard others say it is not necessary to hang moose meat. I do not know why people are against this practice. Consider beef, always hung and aged... Why? To tenderize and let the meat start to break down. Most of these animals spend their final days in feed lots, milling about, getting no exercise and not building muscle. Moose on the other hand spend their entire lives staying as fit as they can in order to avoid predators. Compare the two hanging in a meat locker. Beef, loaded with fat not much sinew. Moose lean and loaded with ligaments and tough meat. You tell me which of the two need hanging time more. I think you will agree... hang moose meat to age it. My Dad who is 86 this year tells me that in his younger days he and most of his hunting buddies would give a lot of their hard earned moose meat away. I asked him "How come?" "The meat was tough and gamey!" was his reply. He eats moose all the time now, because for the past twenty five years I have hung and aged my moose meat. He says "We never knew about such things as hanging the meat, we shot it, brought it home and put it in the freezer." Another thing he was quick to point out is the fact they did not always worry about cooling the meat right away. Sure they would gut the animal, then hoist it up into a tree by its head. Maybe not getting around to skinning it for a few days. I think this may explain the gamey flavor he referred too. To summarize... Hang moose meat for a couple weeks will do it no harm... quite the contrary. Be sure to cool your meat as soon as you can after harvesting. 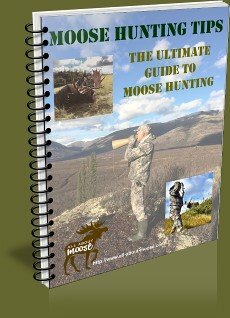 I'm planning a moose hunt in Newfoundland for next fall, we have 2 hunters and are going to drive up in a pick up truck. I need to know how much meat we can expect to get from 2 average sized moose (assuming we both get one) and what is the best way to get it home. Looking at a two day drive minimum. Hi John and thanks for your question regarding the transportation of moose meat. In BC (and I assume NL will be similar) the yield from a butchered moose will average around 450 pounds (205 kg). That will give you a total of 900 pounds of moosemeat to transport. My suggestion for a two day drive (this will also depend on ambient temps and time of year) would be to have it cut, wrapped and frozen. Place the frozen meat on layers of some type of insulating material. 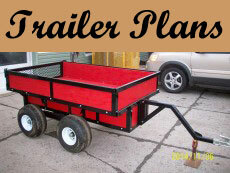 You can use something as simple as a sleeping bag or buy some high density Styrofoam to line the bed of your truck. Then place all the meat (preferably boxed) in the center of the pickup box and cover it all with all the clothing, sleeping bags, more insulation... whatever to keep the cold in and the warm out. If accessible, you could also place some dry ice (wrapped in newspaper or cardboard) on top of the boxes under the insulation layers. Don't put dry ice directly on the meat packages though... you will end up with freezer burned meat where it comes in contact. 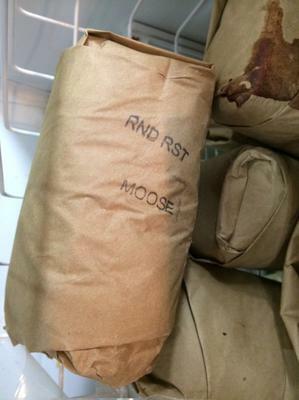 If you can get your moose meat chilled enough or have it hung in a walk-in cooler to get it chilled, an alternative for transporting your moose meat would be to transport it home in quarters. If you are choosing this method the ambient temperature needs to be cool. Say something in the neighborhood of 34 - 36 degrees F. and no warmer than 40. 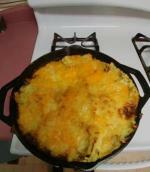 Apply the same methods of covering the meat to keep the cool in and the warm out. It's imperative that your moose meat stays cool or frozen for your trip home. Bone sour and rotting meat are your worst enemy and I've heard some real horror stories of guys traveling for days with meat, that had to be discarded once they got home. After harvesting your moose, how do you keep it chilled? Because you have an 8-9hr trip back home? That's after we are done cutting it up and wrapped, of course. You ask a very good question Vern. Transporting moose meat on a long journey can have good or bad results. First I have to make some assumptions regarding your question. 1) If you have cut and wrapped your meat I assume then you have taken your moose to a butcher, had it aged properly then cut and wrapped. If you are going this route, then the best thing you can do is to have the butcher flash freeze the meat as well. Frozen meat will travel quite easily in cardboard boxes if you cover them with a good insulting layer. If you are driving back form a moose hunt you'll have lots of clothes, sleeping bags, etc. Just pile all this on top of your boxes, taking care to tuck the insulating stuff all around. An 8-9 hour drive will be no problem. 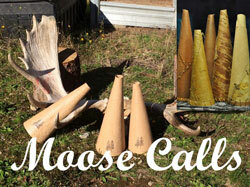 2) If you have just shot your moose and plan to cut and wrap, you face many more challenges. How cool is your meat? Was it hanging in a butchers cooler or just out in the bush? If the latter, what will the temperature be? Freezing? In order to cut and wrap you meat it should hang a suitable duration in a temperature controlled climate and allowed to age. Once this step has been completed you cut and wrap. If, at this point you plan to travel, I suggest you place your meat in coolers and layer some dry ice over top. Do not place the ice directly on your meat packages. Put some cloth or clothing as a buffer in between. Again cover your meat with a good insulated layer. When we hunt up north, we travel anywhere between 10 and 14 hours depending on the area we hunt. We always bring our moose meat home to cut and wrap. 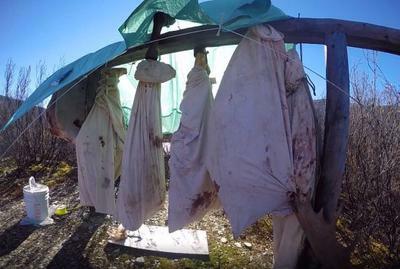 If it is not cool enough in the bush to chill the moose quarters sufficiently we take our moose to the nearest town and have the butcher hang the meat in his cooler. Once the hunt is complete we stop at the butchers business on the way home and pick up or quarters of moose. We place the quarters in the center of a large tarp and wrap them up like a huge parcel. Then we take all our heavy clothing, sleeping bags etc and cover the moose as best we can. There have been many times we arrive home late at night and have found the meat to be still adequately cold to wait until the following morning to take the moose meat down to our own butcher. Wit an elapsed time of around 24 hours the meat is still quite cold. I have heard horror stories of shooting moose and after transporting moose meat home, hunters have had to discard entire moose. How sad this would be. If you take some precautions to keep you meat cool you should have no problem in traveling 8-9 hours. One more thing... If you are hunting in August when temperatures can easily reach 30 degrees Celsius, you better have a supply of dry ice available for all types of transporting moose meat. Another option that may be worth looking into would be to have your meat transported by a commercial transport with refrigeration. Just a thought. I hope this helps. Good luck with your hunt this year, well... future years too! Come on back and share your story and pictures. PS - If you have more information regarding your question you can use the comment form to submit. I'll answer as soon as I can.